I recently had a customer who was interested in a Half Persian 3/1 Bracelet and wanted to see the difference between a tight weave and a more open weave. I made up a short section of each and took this photo. The top segment shows 14 gauge (1.69mm AWG) in which I used 8.1mm ID jump rings. 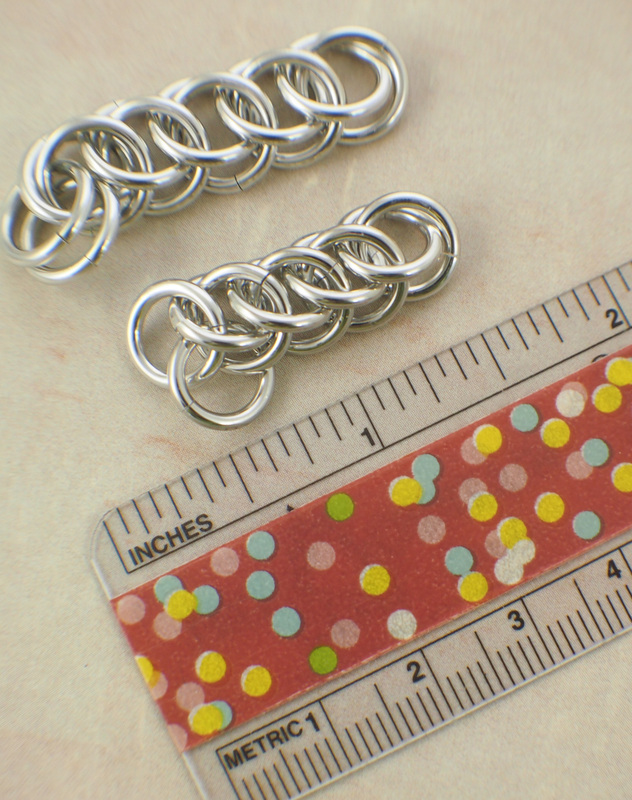 The bottom segment shows the same gauge but 7.1mm ID jump rings. Both were easy to weave and have good flexibility and still hold the pattern nicely – so both work! It just depends on the look you would like!